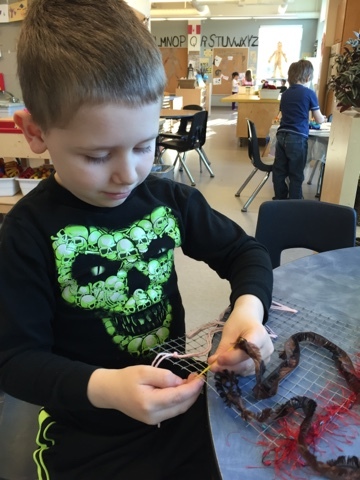 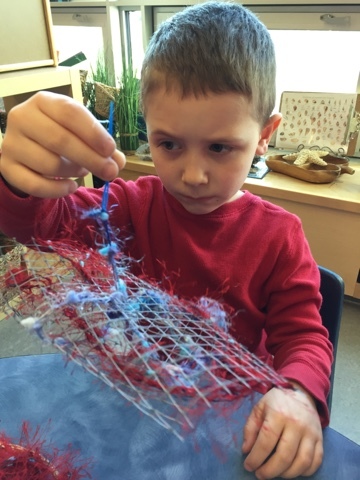 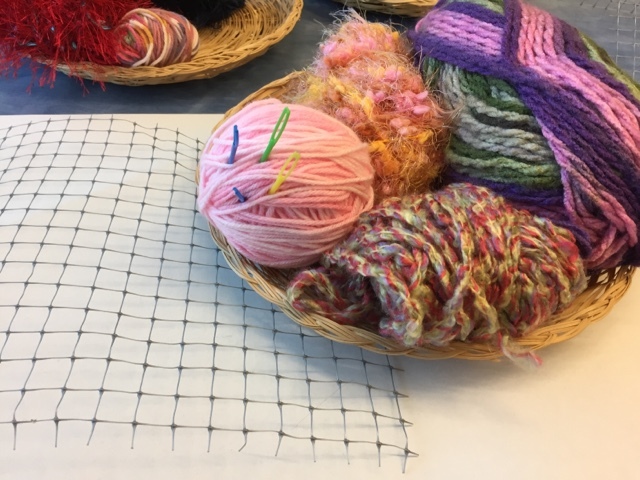 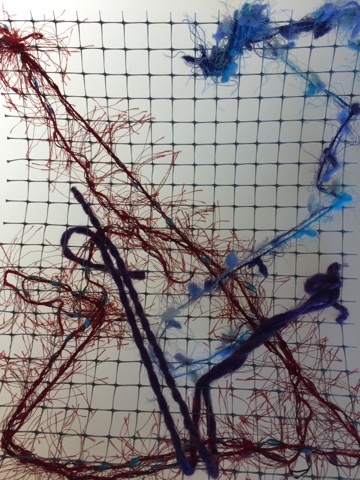 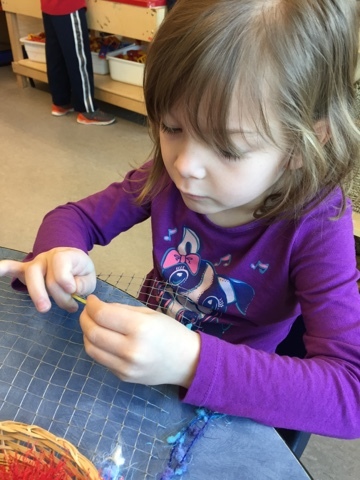 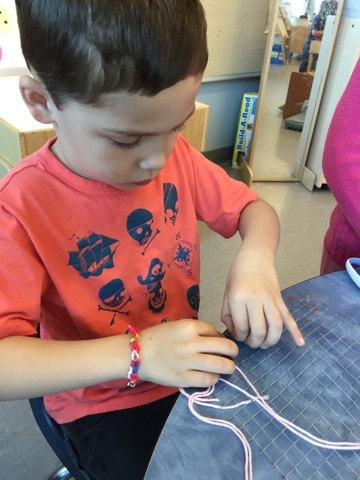 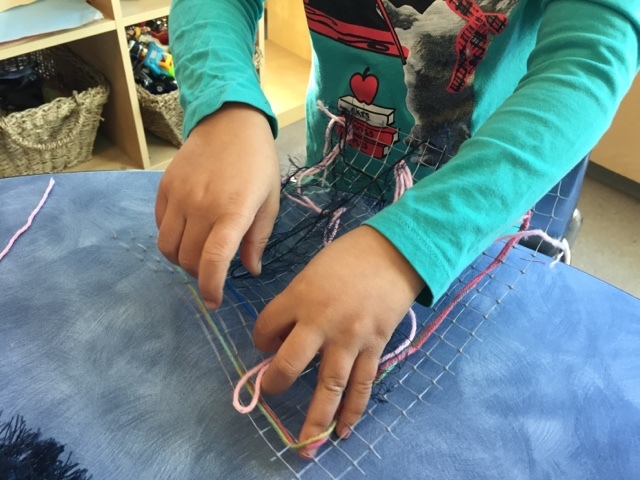 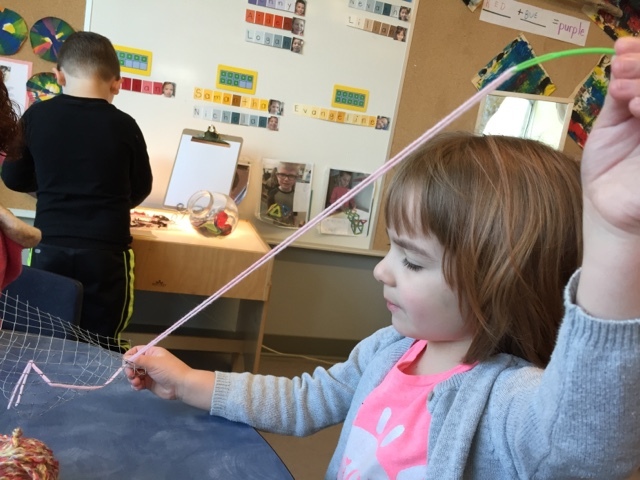 Children practised fine motor skills while persevering with a challenging task today as they sewed with colourful yarn on a soft chicken wire base. 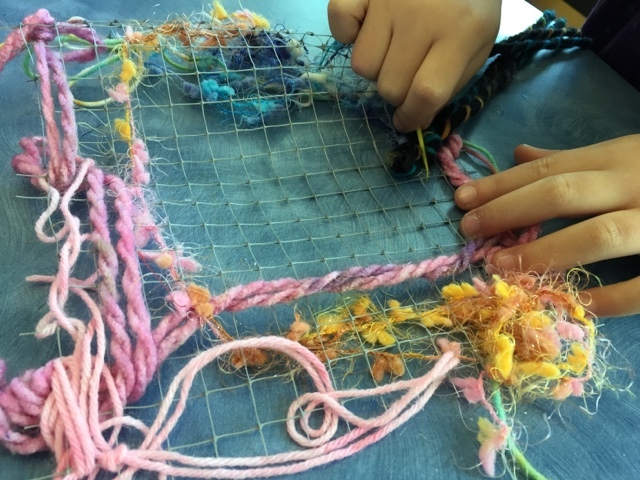 The variety of yarn colour and texture was interesting and the children spent much time weaving their favourites together on the base. 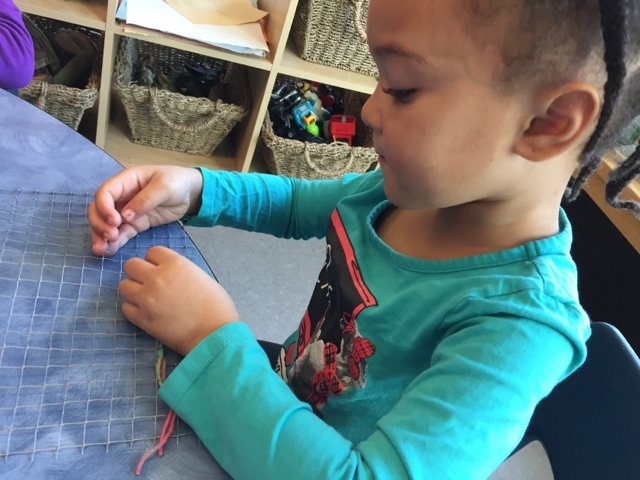 As the children worked they engaged in rich conversation together reminiscent of social sewing circles. 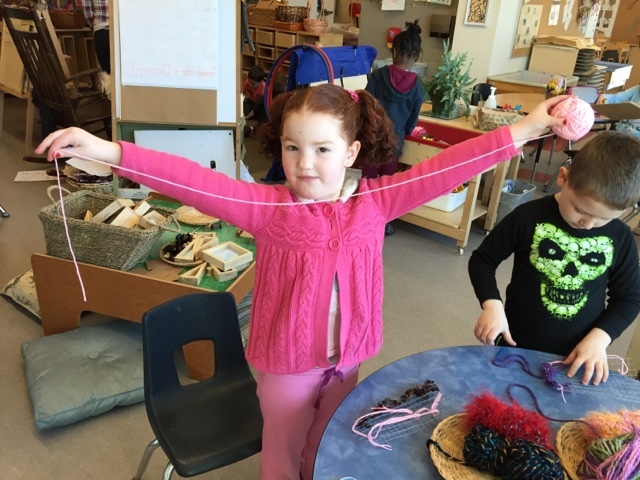 Rich math talk also emerged as children discussed the different lengths of yarn needed for their project.